Our experience means your success. Excellently competent. 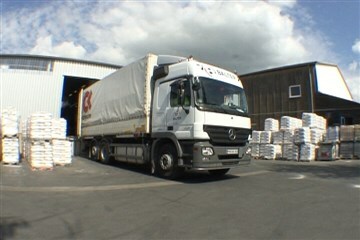 Experience and expert knowledge with modern building materials for 25 years. Our portfolio of modern products, such as primers, coatings and sealants, have been designed especially for the industrial sector with various requirements in mind. 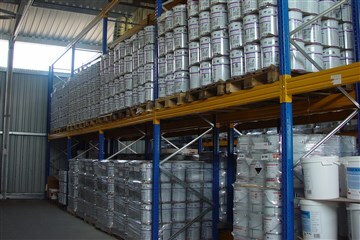 We also offer high quality coatings for business and private sectors. 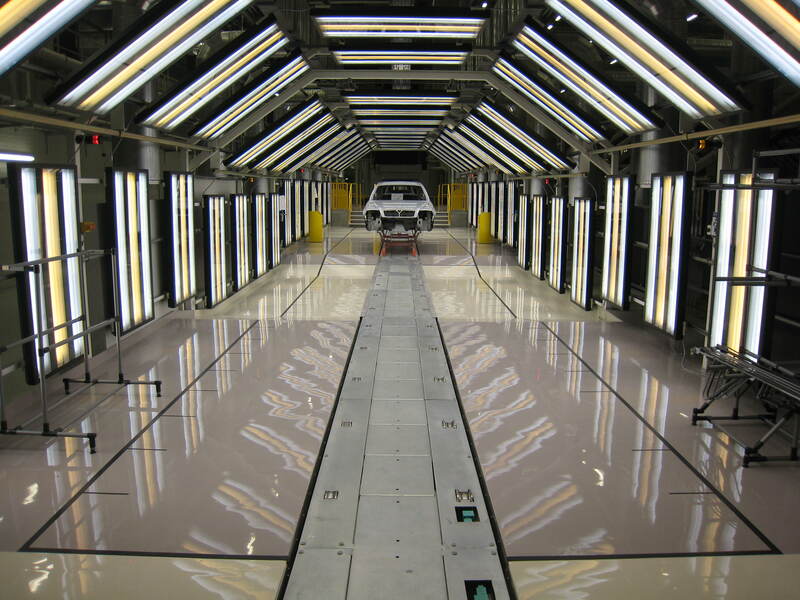 Our floor coatings are applied to floors in production halls, clean rooms, carparks and underground carparks, the food industry as well as on stadium stands. They are suitable for steel surfaces or as concrete protection, they are chemically and abrasion resistant. 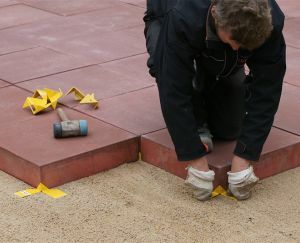 Our range of paving joint mortars are oriented towards the various requirements needed from joints.ROMEX® paving joint mortar systems offer solutions for weeds, soiling and displacement with natural and concrete stones, clinker surfaces and porcelain stoneware and offers a permanent and visually attractive appearance. Areas of application are private and public surfaces with various loads, starting with light pedestrian loads up to the heaviest traffic loads. 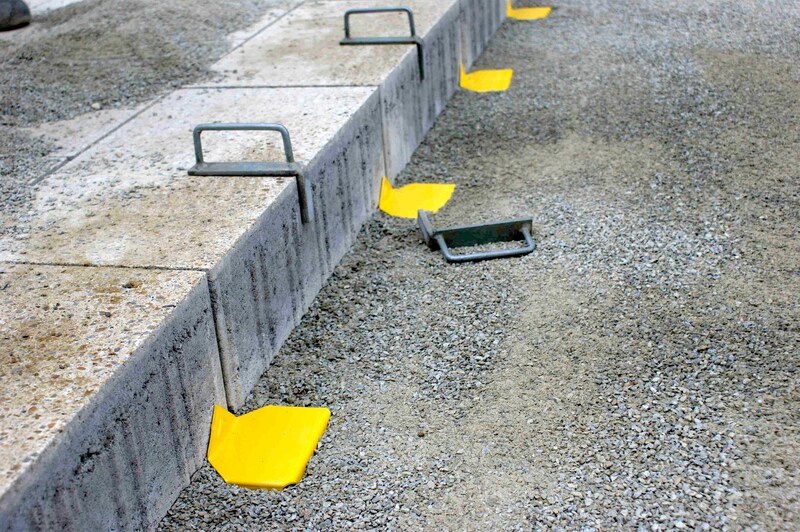 As developer and manufacturer of displacement protection systems, we offer solutions for the compensation of shear forces on large format slabs or paved stone surfaces in innercity areas such town squares, pedestrian zones or other representatively designed areas. ROMEX® offers solutions for almost all kinds of situation, even on bonded base courses, by using specifically designed anchor technology. . A diverse product pallet of various anchor types is available. First class quality. 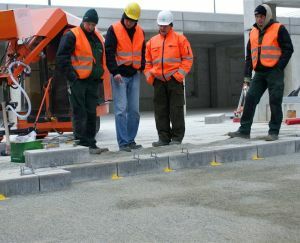 Floor coating and paving joint mortar by ROMEX®. Worldwide ROMEX® counts as one of the leading manufacturers of synthetic resin based paving joint mortars and highly load bearing floor coatings.As well as having our own production facility, all research and development, sales and quality management are managed by ROMEX®, thus offering our clients modern building materials and innovative solutions for more than 25 years.We have developed a concept with our partners, that offers our clients the highest possible degree of certainty through product quality and flawless application. Top end products manufactured in our own production facility and professionally qualified application by ROMEX®. ROMEX® certified partners are the key to our steadily growing success. As a family run company as well as a specialist company, client orientation and service are the main priority at ROMEX®. The slogan „Made in Germany“ is not just a seal of approval, it is naturally our obligation. We place a high value on highest quality, branch specific consultation and the best technical on site service. We don’t leave any client on their own – because our experience means your success! Our philosophy gives our business model a clear direction, a central idea, which impresses and sustains. This idea expresses what we are all about. It is the principle and guideline for all activities, from our service, the actions of our employees and our company communication. ROMEX® company group philosophy is based on four pillars: Precision and quality are vital in order to be successful and efficient on the market. Our pursuit of peak performance is the foundation of everything we do. That is what we want to be measured against. The unique connection between precision and quality ensures the stability, strength and continued success of ROMEX®. It stands for the way in which we act, describes our attitude and performance towards all our clients. Humanity and trust are the basis for fruitful working together. We understand these values to be a social resource and thus create more value for all who work with us. Individual consultation is as vital as the willingness, to orient ourselves to our business partner’s requirements – – understanding all kinds of client’s needs, offering added value, forming trust and building lasting partnerships. This thought is embedded in our thinking and actions. ROMEX® products rightly have the seal of approval „Made in Germany“. 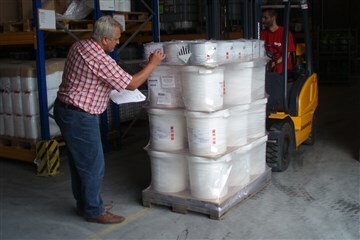 All synthetically resin based floor coatings and paving joint mortars are produced at our own production facility in Meckenheim, NRW. In our own research and development department, formulas are developed that correspond to the highest quality standards.On top of this, ROMEX® has also set up it’s own standards, that surpass the generally valid norms. Primers, floor coatings, sealants as well as paving joint mortars and pouring mortars made of synthetic resin are the main products that are developed and produced according to the most modern criteria. The ROMEX® products that need the valid CE norm identification all have this CE identification. As manufacturers, we thus confirm that we conform to the valid EU guidelines. . The entire product range is regularly checked thoroughly. On top of this, all new products added to the range, are throughly checked according to valid norms and guidelines and given the CE identification mark. 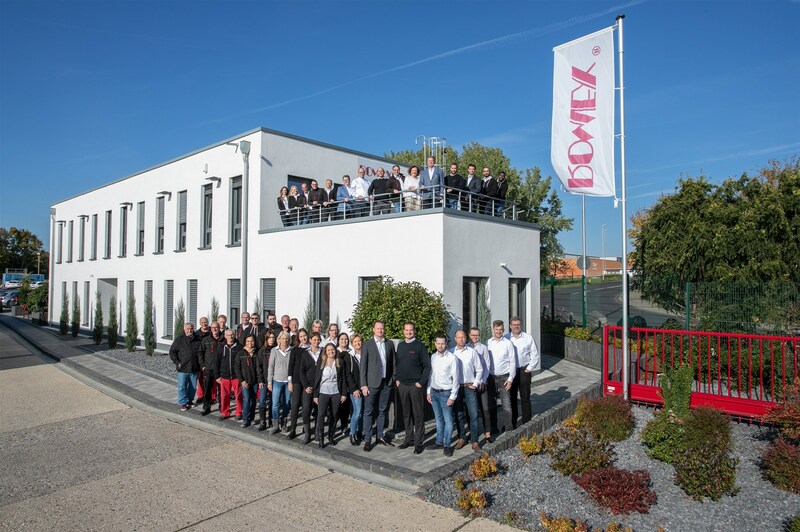 ROMEX® is a member of the trade association for screed and coatings, a service provider for the companies in the German screed and coatings trade. It supports it’s member companies primarily in technical trade questions, in order to give the best possible technical advice to contractors and architects. Since 2006 ROMEX® is part of the concrete association road, landscape, garden e. V., which independently represents the interests of manufacturers of concrete products, with the goal of making concrete paving stone construction even more effective for permanently functional and aesthetic surface coverings. Since 01.01.2015, ROMEX® has been actively engaged in the work of the Research Society for Landscape Development and Construction e.V. (FLL). 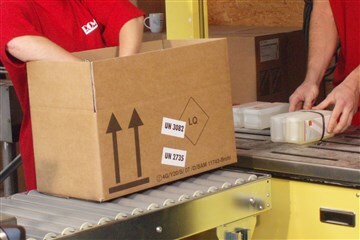 The FLL is a recognised author of printed guidelines for the "Green Sector". Within currently 59 interdisciplinary work groups, the FLL sets out guidelines, recommendations and expert reports for the „Green Sector“ and publishes these in FLL publications. 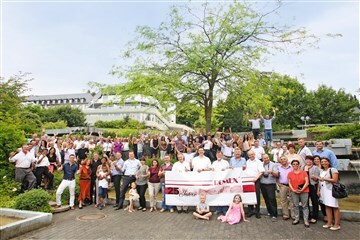 ROMEX® is a member in the Society for Garden, Landscape and Sportsfield Construction NRW e. V., which represents the interests of trading companies in Nordrhein- Westfalen in the form of a commercial and employer association. Sustainable commerce means taking responsibility for the future and to act consciously. ROMEX® has made it their objective, to carry out projects for the development of innovative, biologically based, degradable and at the same time cost effective biopolymers. ROMEX® as manufacturer of highly loadbearing industrial floor coatings made of epoxy and polyurethane as well as mortar products, which for the most part are used outdoors and remain there usually until the end of their life cycle, ROMEX® has a big interest in binding agents, which will decompose into non hazardous substances. 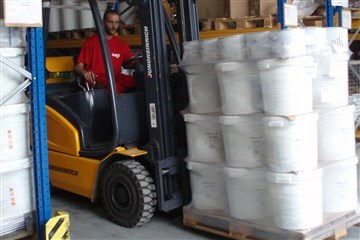 Throughout the world, mortar products are sold in large quantities in plastic buckets, which end up in the environment, especially outside of Europe. That is why ROMEX® wants to use biodegradable packaging in the future and has become a partner with the cooperative network for BioPlastics, which is a project promoted by the Federal Ministry for Economics and Energy (BMWi), with the aim of combining the benefits of longevity with degradability. Impressive service. Client orientation is more than a promise for us. 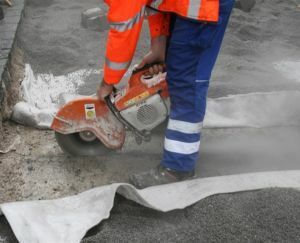 In our regular seminars and workshops we train and advise you on the subjects of floor coatings, paving stone laying, displacement protection as well as in particular paved stone jointing, displacement protection and guidelines from the construction industry. Furthermore we keep you informed about current branch topics.On top of this we also get involved in bringing the ROMEX® supply and service range closer to you in practice. With us, you not only have the possibility to gain new knowledge, you also have the opportunity to exchange experiences with fellow trade partners and trained professionals. Our events take place in house or on site with our clients. 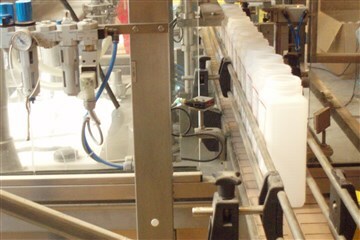 ROMEX®‘s growth came about primarily through major project business. 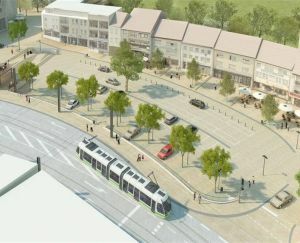 For more than 25 years, we have been involved with worldwide project realisation. Because each project is so individual, we accompany our clients and interested parties from the outset with individual support. In order to achieve the best possible realisation of your project, we offer tailormade system solutions and accompany the project up to the final inspection. So that all involved end up being satisfied: Architect, Planner, Contractor. Because our experience means your success. Our credo: Success needs reliable partnerships. We know this well. That is why we are especially careful to make sure that our partners are a good match with us and that they are active internationally in the floor coating and paving joint mortar sectors, with personal contacts and competent consulting. Within the framework of our partner concept, we work closely together with trained and certified laying companies. In reality this means we have a suitable laying company for your project who will make you an offer for our high quality systems. As a responsible material manufacturer, we not only provide professional consultation, but are on hand throughout the process as your contact person in all matters concerning the project. In order to always remain on top of our game, we need to keep developing continuously. 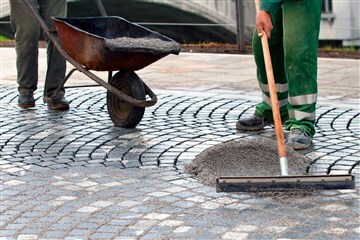 All our coating systems and paving joint mortars are based on our own formulas, developed, tested and continually improved by our ROMEX® Research and Development Department. The continuous new developments are oriented towards our own standards, that by far surpass the currently valid norms. 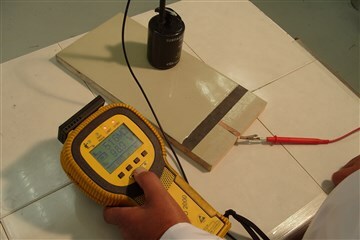 All ROMEX® products are tested thoroughly in our own laboratories and are then certified by independent institutes. Thinking ahead and following new paths, have made ROMEX® what it is today. Active worldwide, this is a family run company that has been given awards for it’s products, such as the patented displacement protection system ISATec®, which received the 2014 innovation medal, awarded by the Fedeeral Association GaLaBau (BGL).